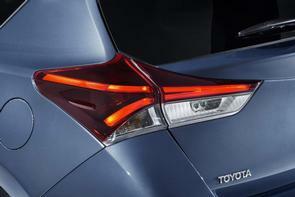 With 182 registrations looming, Toyota is claiming that in July, Irish drivers can upgrade to a new hybrid 'for free.' Of course, it's not really free - what it means is that by taking the potential fuel savings, tax savings and lower depreciation (hybrids really do seem to have very strong residuals at the moment) over three years, you will get back the extra you spend on upgrading. To sweeten the deal further, Toyota is offering 'Trade In, Trade Up' packages, which give you bonuses on your trade-in values and some tempting interest rates. For the outgoing RAV4 (there's a new model coming at the end of this year) you can get a €4,500 trade-in package made up of a €2,500 trade-in boost and a €2,000 price cut for the Luna Sport Hybrid, with a 3.9 per cent interest rate on finance. For the Auris (again, it's being replaced at the end of this year) there's a €3,700 package, which is a €2,000 trade-in boost with €1,700 worth of extra equipment for the Luna Sport Hybrid model, and 3.9 per cent interest. The C-HR crossover can be had with a trade-in boost of €2,000 and 3.9 per cent finance, which is also available on the Yaris, which comes with a €1,500 trade-in boost. The Prius gets a trade-in boost of €2,500 and 3.9 per cent finance, while the Corolla gets a €2,500 trade-in on the Luna Sport petrol model, plus €1,500 worth of additional spec. The Aygo (which is getting a mild facelift this summer) gets a 2.9 per cent finance rate with repayments starting at €30 a week, while the Proace van can be had on a 1.9 per cent Hire Purchase plan, or a trade-in boost of €3,000.